Fresh off of her promo tour, Claire Foy attended the 2018 Evening Standard Theatre Awards at the Theatre Royal yesterday evening(November 18th) in London. 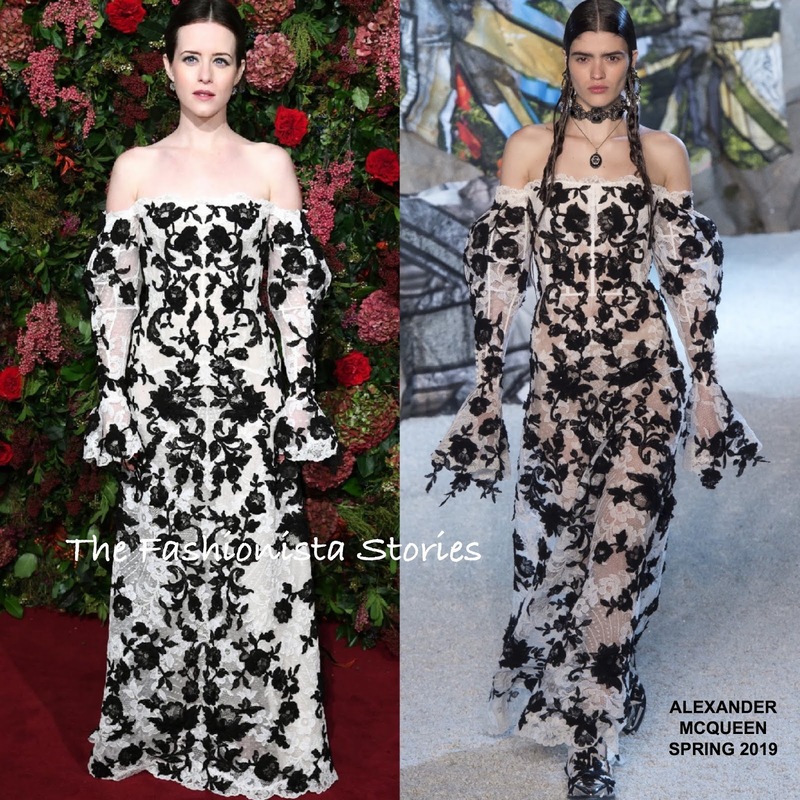 While we haven't seen much of ALEXANDER MCQUEEN dresses on the red carpet lately, Claire chose a piece for the label's SPRING 2019 collection. Her long sleeve white & black floral lace embroidered, floor length dress, laid off-the-shoulders and featured bell cuffs. The dress was shown unlined on the runway but naturally Claire lined her dress. Also while the dress was presented in a grunge way on the runway, Claire presented it in a elegant way. However I am not loving the sleeves. Beauty wise, she went with center part, straight pulled back tresses and a natural pink lip which topped off her look.